This book describes detailed study on ultrashort pulse generation from micron-scale diode laser devices. Both edge-emitting lasers and surface-emitting lasers are investigated. 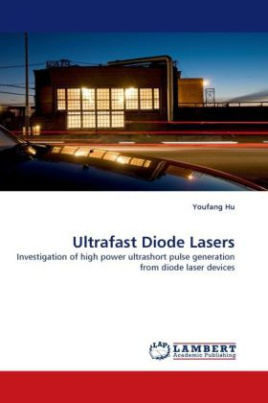 The generated laser pulses have variable spectral linewidth, wide wavelength tuning range, tailorable pulse shape, as well as high peak power and average power. The methods used for high power ultrashort pulse generation include gain-switching, Q- switching, and mode-locking. Pulse quality is controlled by using spectral techniques, e.g. external cavity feedback & filtering, injection seeding, and fibre Bragg grating filtering.